Princess Nagger is a bubble head. No, I didn’t say bobble head (though she can imitate one pretty darn good), I said bubble head. Meaning, she loves to chew gum and loves to blow bubbles. The tricky part for me has always been to make sure she has gum that is actually good for her, and not cause more damage to her teeth than she already has, thanks to her inheriting soft teeth from me. I know, right? Since Princess Nagger has something against minty-fresh gum (which means she leaves my gum alone), I always had to find an alternative while still making sure her teeth will stay healthy. That is not an easy task, especially since she loves the flavor of bubble gum. My dad was a fanatical bubble gum chewer, which is probably where I got my gum chewing passion and passed it down to Princess Nagger, too). Observing good dental hygiene with kids can be tricky at times, I know for me it’s a challenge to get the kids to willingly brush their teeth twice a day, and make sure they do a thorough job rather than the halfhearted attempt they generally try to get away with. At least chewing sugarfree gum can help increase their chances of not getting cavities. Now we need to work on them being a little more enthusiastic for flossing. Ahem. There were actually three packs of gum included, but she couldn’t wait to try it out before I took pictures. She also decided to give the mouthwash a try, even though she’s not a fan of mint – she still doesn’t like it. Now if we could find a bubblegum flavored mouthwash, she’d be all over that! She definitely prefers the flossing picks over string floss, so that was a nice bonus as well. She absolutely loved the Strawberry-Banana flavor, and graciously gave me a piece to try, too. The flavor lasts a long time, something I’m picky about. Princess Nagger is looking forward to seeing if we can find the bubblegum flavor, so she can alternate between the two – and see which one blows better bubbles. She seems to think the bubblegum flavor will blow better bubbles just because ‘bubble’ is in the name. I’ll keep you posted on that one. The benefits of chewing sugarfree gum, like Orbit for kids, include cleaning the mouth of food debris and stimulation of saliva flow, which helps to protect teeth by reducing plaque acids and strengthening teeth. By using Orbit for kids gum as a complement to brushing, flossing and rinsing with mouthwash, parents have another simple and fun option to help protect kids teeth. You can buy this gum in the 14-tab envelopes, or Micro Pack Multi-Pack Bags that contain 10-packs of 6-tab micro Pack envelopes. You’ll find them in the gum and candy aisle! Orbit for Kids is Princess Nagger approved! 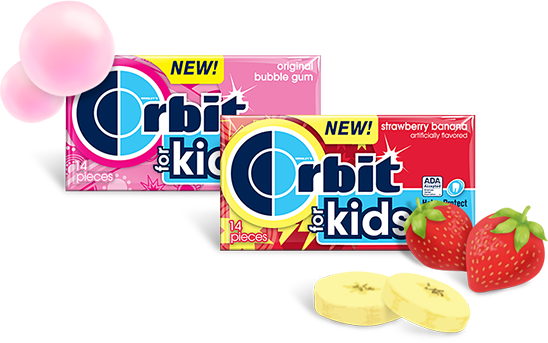 Orbit for Kids will be available nationwide this month (July 2013) – Princess Nagger can’t wait to get more, and try out the bubblegum flavor, too. 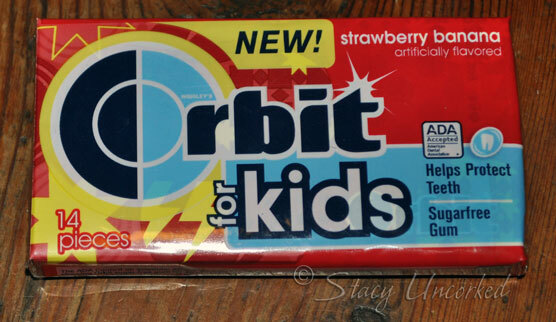 Have you or your kids tried the new Orbit for Kids? Which flavor do you think will be a favorite? 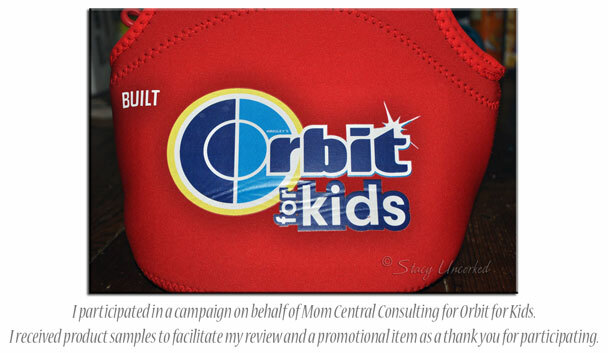 Note: I participated in a campaign on behalf of Mom Central Consulting for Orbit for Kids. I received product samples to facilitate my review and a promotional item as a thank you for participating. As usual, all opinions are my own and not influenced by outside sources. See my disclosure policy here. 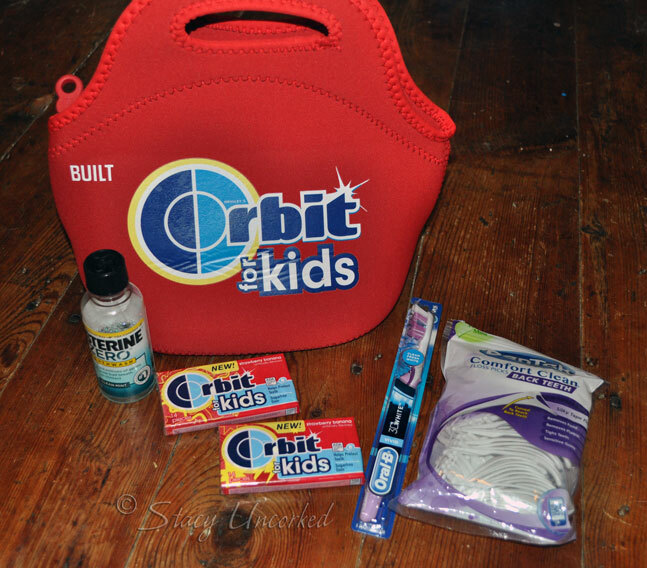 This entry was posted in Alert, Announcement, Review and tagged Alert, Announcement, bubble gum, bubbles, cavities, dental hygiene, orbit, Orbit for Kids, Review, strawberry banana, sugarfree gum, teeth by StacyUncorked. Bookmark the permalink. I haven’t heard of it, but I know my boy would love it! At least there is something out there that will encourage kids to be healthy and to keep their teeth clean. I agree that there needs to be something that encourages kids to actually floss.